Started the day at 6:30 am. Our sendoff crew was Joyce and Lois from the Straight Shooters Inn and the fire chief Greg Van Tighem. Greg rode with us part of the way toward Edson. He is no stranger to long distance riding having done long distance solo trips for MS. Check out www.endms93.com. We were greeted by a beautiful morning as you can see from this view. Some more wide life sightings. Richard was responding to a call of nature when he spooked a black bear!!! 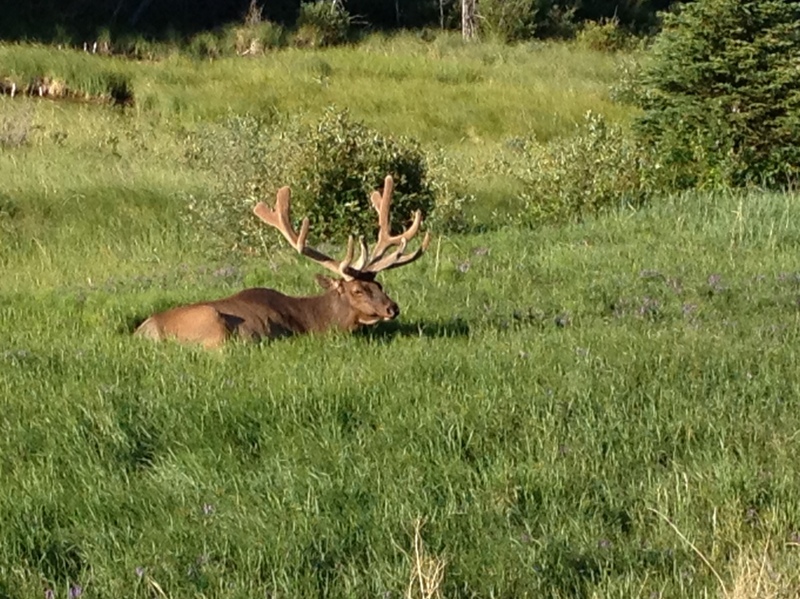 Then we came across this big fellow. 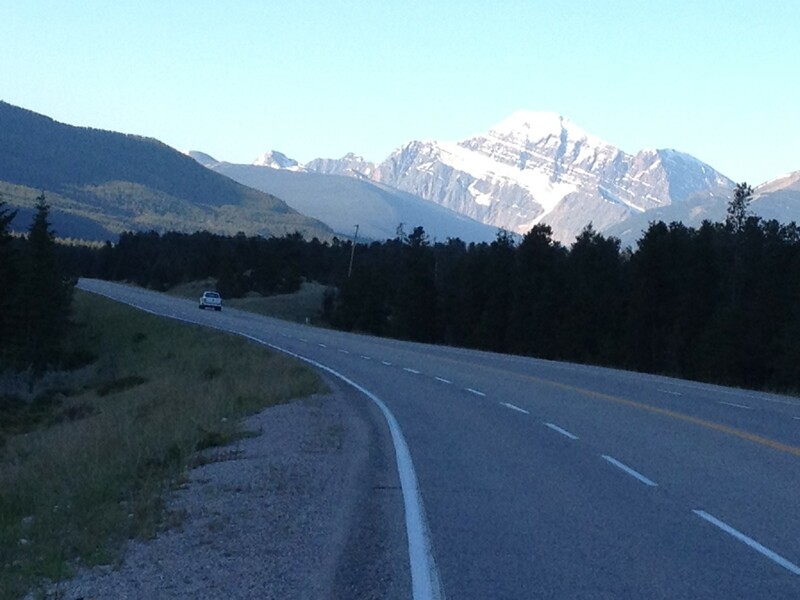 Our ride through the foothills of Alberta seemed so easy after crossing British Columbia. 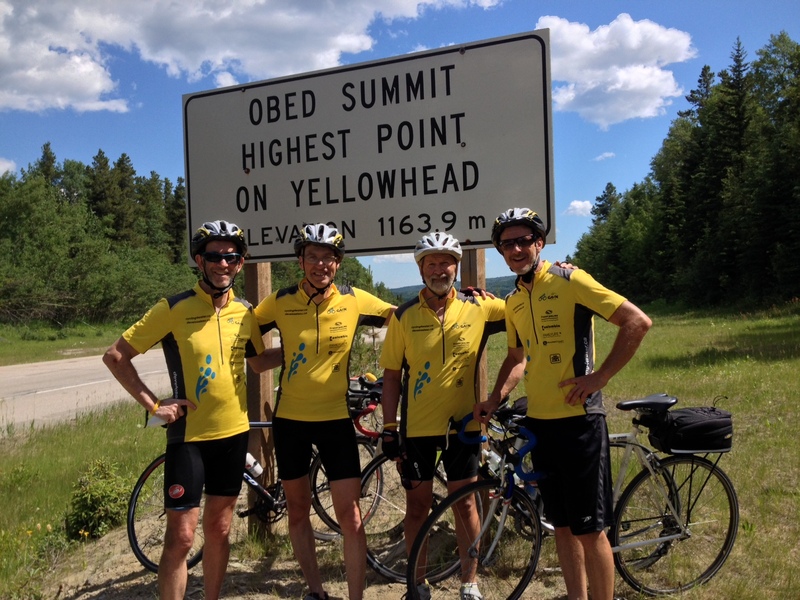 We came from sea level to Obed Summit, the highest point on the Yellowhead Highway. I had a spill today, right at the summit just turning off to take this picture and hit lose dirt. Looks worse than it was. 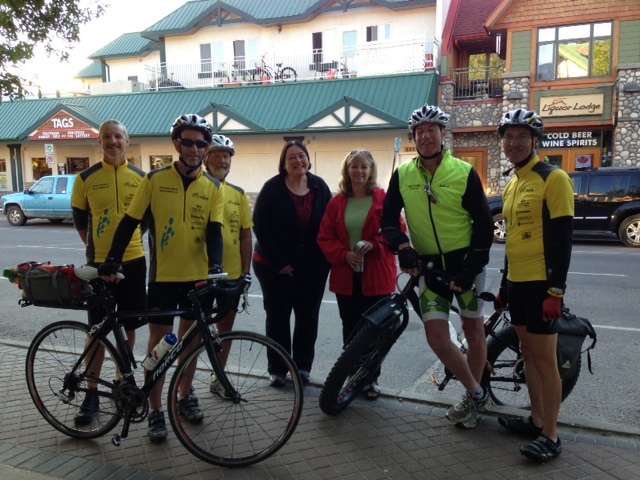 We made it into Edson in good time for our 6 pm picnic at Ron and Joanne’s place. A reporter from the local paper did an interview with us. A good group showed up and responded really positively to the well project. It was a great evening! Thank you Ron and Joanne! Ah…Edson the sweet smell of Alberta crude. Sorry to hear Mike that you had a spill. You are an inspiration that almost 60 years Old that you can lick you wounds and carry on. 🙂 You are the Man!